Clypeus delimited laterally by more or less distinct smooth lines (i.e. 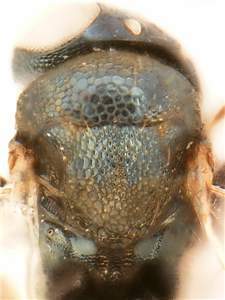 not grooves) and with tentorial pits at the upper end of these lines, clypeus not delimited dorsally (contrary to what was stated in the original description); pronotum strongly reduced and not visible in dorsal view. 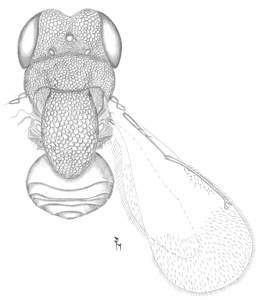 Species of Klyngon have a stocky and compact build and since the pronotum is very small the head fits smoothly to the mesosoma. The occipital margin is curved to follow the curvature of the mesoscutum and the occiput is concave to fit the anterior part of the mesoscutum, which makes the head and mesosoma appear as one more or less close-fit unit. 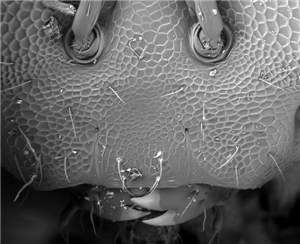 The head and mesosoma, and sometimes also the gaster, are strongly sclerotized with a strong reticulate sculpture. 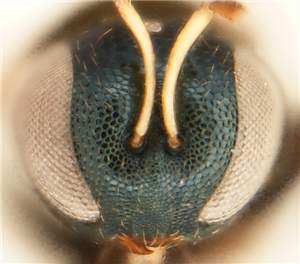 Several species have the scutellum extended backwards, in some species it is so strongly extended that it covers anterior part of the gaster. Frontal suture present or absent. 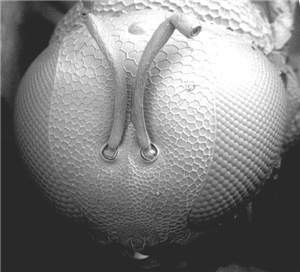 The number of setae on the scutellum varies from a single pair to five pairs, to 12 scattered setae. 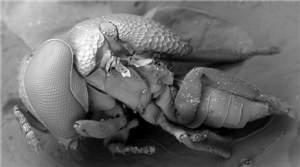 On the midlobe of mesoscutum number of setae varies from one to four pairs, or with 10 to 16 scattered setae. Number of setae on the submarginal vein varies from one to seven. The petiole is always short and transverse.